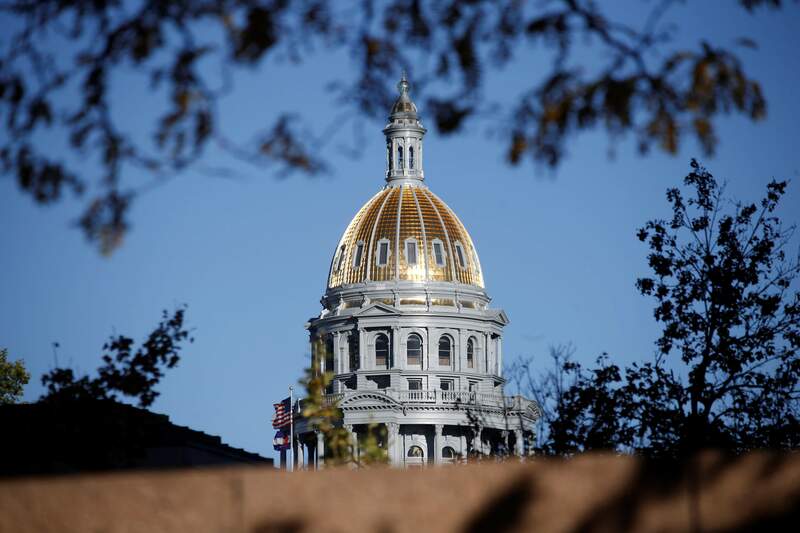 DENVER – First Amendment and private property rights smashed head-to-head Thursday in the Colorado Senate during a debate over increased penalties on tampering with oil and gas equipment. Senate Bill 35, which would make a host of actions, such as destroying or interfering with equipment, a Class 6 felony, was criticized by Democrats and members of the public last week when it was heard in the Senate Agriculture, Natural Resources and Energy Committee. The criticism centered around the potential that vague wording could be used to charge peaceful protesters on public roadways with felonies for interrupting oil and gas production, which they felt was an attack on First Amendment rights. “I admit it is not entirely clear that a peaceful protest outside of an oil and gas well would be a felony under this law, but by golly, you don’t risk a felony conviction,” said Sen. Daniel Kagan, D-Cherry Hills Village. Sponsor Sen. Jerry Sonneberg, R-Sterling, said the bill was inspired by posts on social media and is needed because current law, which carries a Class 2 misdemeanor charge, does not go far enough. “It’s already illegal to do so. It appears the current penalty is not curtailing these events,” Sonneberg said. “There’s nobody tampering with gas equipment. Now you can go on the internet, and you can find all kinds of stuff on the internet; doesn’t mean that’s happening in our great state,” said Sen. Rhoda Fields, D-Aurora. After a short debate, the bill was laid over until Monday while a new fiscal note, which shows the financial impact of the bill, and in this case, outlines the number of cases for the charge being considered, is drafted. Also on Thursday, 12 bills were scheduled for third reading, five for second reading, and six bills that had passed through the Senate were approved by the House and sent to Gov. John Hickenlooper.Included in the bills sent to the governor was HB 1030, which will update and amend the 1921 irrigation district law.In committees, 19 bills were scheduled, including SB 111, which would allow medical marijuana centers to purchase, or sell, up to 50 percent of their inventory from other centers.The bill was heard in committee on Tuesday and laid over until Thursday for final discussion and vote, which it passed 4-1. SB 111 goes to the Senate Appropriation Committee for consideration.